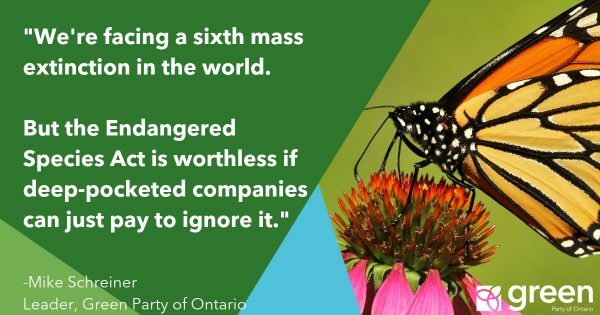 (Toronto) – Green Party leader Mike Schreiner is challenging all MPPs to support the new bill to prevent the government from stopping work in the legislature for their own political ends. Since last year when the Liberal Party pulled the plug in the middle of the debate on gas plant cancellation, Schreiner has been calling for legislation to end the abuse of prorogation. Bill 24, introduced by MPP Catherine Fife, will prevent the Premier from proroguing parliament without the consent of the Legislature. It also requires a date for the start of the next session of the Legislature.